The marketing landscape has changed dramatically over the last 10 years, however marketing briefs (and briefings) have not. Many marketers use the same one-size-fits-all ‘big idea’ brief templates and organize the same briefing meetings they always have. There is a great opportunity to modernize the marketing brief to be more relevant and useful in the age of data, technology, and social media. Marketers can also evolve how they manage briefs to be more agile, integrated, and accountable. This course is designed to train marketers on a new set of principles and briefing tools they can use to modernize how they create and activate marketing briefs. The class size will be limited to 25 participants and there will be plenty of time and activities to ask questions, network, and learn from each other. Briefing Fundamentals: The purpose of marketing briefs, the role briefs play in the marketing process, and the qualities that produce the strongest results. Modern Marketing Changes: How the marketing landscape is changing due to data, social media, and technology, and the resulting implications for upstream marketing planning. Modern Marketing Briefs: A step-by-step walkthrough of a set of modernized marketing brief templates that organizations can tailor and use. Modern Marketing Processes: How marketers can implement modern marketing principles and briefs (and briefings) into their organization and workflow. Participants will also be given a set of frameworks and instructional materials that they can take back and use in their own organizations right away. The course is ideal for marketers that have some experience creating or managing marketing briefs. We will cover topics relating to different types of briefs (conceptual vs. tactical) and marketing planning workflow, so it will be most useful to those in brand management, strategic planning, marketing operations, and account management. Past participants in Kickframe training include a broad mix of marketers from a variety of client-side, agency, start-up, and non-profit organizations. An up-to-date understanding on the current state of modern marketing, and the implications and opportunities for marketing briefs. A stronger understanding of the true role of marketing briefs and the qualities that make one great (and common pitfalls). A set of principles and modernized marketing brief templates that you can tailor and use in your own organization and planning work. A set of organizational and workflow recommendations for modernizing how you activate marketing briefs for even better outcomes. A new group of peers to add to your professional network from the local marketing and planning community. The course is designed and delivered by Tim Dolan MBA, a Certified Training Practitioner (CTP) and Certified Facilitator (IAF) with 20 years of international marketing strategy experience. Tim is a past instructor for the Digital Marketing Certificate Program for the Canadian Marketing Association and has delivered customized training programs for organizations including Loblaw, McDonald’s Canada, Scotiabank, ATB, Sid Lee, Habitat for Humanity Canada, TIFF, and the Toronto Symphony Orchestra. Tim is the founder of Kickframe, a digital strategy and training firm that has helped a number of clients modernize their approach to marketing strategy and operations. Tim has provided in-person marketing training to over 700 marketers in Canada over the last 7 years. He hosts the popular Digital Marketing Strategy Bootcamp event in Toronto, where 99.1% of participants found that the content was interesting and relevant, and 99.1% found the instructor knowledgeable about the subject. All post-event surveys for Kickframe Training Events are posted online and unfiltered. The class will be held in the Portland Room of The Spoke Club on King Street West. The total number of participants will be capped to a size that is small enough to get to know each other and large enough to collaborate within different groups. All participants will receive material prior to the class to prepare in advance, and a hard copy of all of the materials used throughout the class. The Spoke Club kitchen will provide breakfast, lunch, and refreshments throughout the morning. Everything is included in the cost of your ticket. This workshop is backed by a 100% satisfaction guarantee as detailed in our Terms and Conditions. This intensive one-day course is a great way to quickly boost your Digital Marketing Strategy IQ. It will provide you with an overview of the Canadian digital marketing landscape, an understanding of the primary tools in the digital marketer’s toolbox, and easy-to-use frameworks for developing strategies and plans for your organization. The course cuts through the clutter of confusing digital jargon and buzzwords, and focuses on the strategic principles of digital marketing. The class size is limited to facilitate interactive activities, group discussion, and opportunities for networking. After taking this course, you will return to your organization with a stronger strategic grounding and greater level of confidence in digital marketing. 99.1% of past participants would recommend this course to others. The course is designed for marketers and covers a broad range of digital marketing concepts in a highly interactive manner. We will start with an overview of the state of digital marketing today, followed by a review of digital marketing tools and techniques. We will then introduce a set of frameworks that can be used to pull these digital tactics together into integrated and measurable marketing strategies and plans. To end the day, we will apply our learning by working together to solve a real-world digital marketing brief from a 'guest client' visiting the class. This course is ideal for those looking to increase their overall level of knowledge and confidence in digital marketing. This includes people who have not had extensive exposure to digital marketing or have been out of the marketing field for a period of time. This also includes digital marketers who are starting out in their careers or have been specializing on a specific area of digital. Past participants include a broad mix of marketers from a variety of client-side, agency, start-up, and non-profit organizations. The course is designed and delivered by Tim Dolan, a Certified Training Practitioner (CTP) and Certified Facilitator (IAF) with 20 years of international digital marketing experience. Tim is a past instructor for the Digital Marketing Certificate Program for the Canadian Marketing Association and has delivered customized in-house training programs for organizations including Loblaw, McDonald’s Canada, Scotiabank, ATB, Sid Lee, Habitat for Humanity Canada, AGI, TIFF, and the Toronto Symphony Orchestra. Tim is the founder of Kickframe, and has provided a wide range of digital strategy services to clients such as BMW, Nike, Nintendo, Vodafone, Virgin, Electronic Arts, Best Buy, Rogers, and BMO. He is also a regular contributor to industry publications, a judge at digital award shows, and a speaker at digital marketing conferences. The Digital Marketing Strategy Bootcamp has been run 6 times in Toronto, and 99.1% of participants found that the content was interesting and relevant, and 99.1% found the instructor knowledgeable about the subject. All post-event surveys for Kickframe Training Events are posted online and unfiltered. The class will be held in the Portland Room of The Spoke Club on King Street West. The total number of participants will be capped to a size that is small enough to get to know each other and large enough to collaborate within different groups. All participants will receive material prior to the class to prepare in advance, and a hard copy of all of the materials and exercises used throughout during the class. The Spoke Club kitchen will provide ample lunch, coffee, and refreshments throughout the day, and (of course) cocktails during our end-of-day group activity. Everything is included in the cost of your ticket. The course is ideal for marketers that have some experience creating or managing marketing briefs. We will cover topics relating to different types of briefs (conceptual vs. tactical) and marketing planning workflow, so it will be most useful to those in marketing management, strategic planning, and account management. 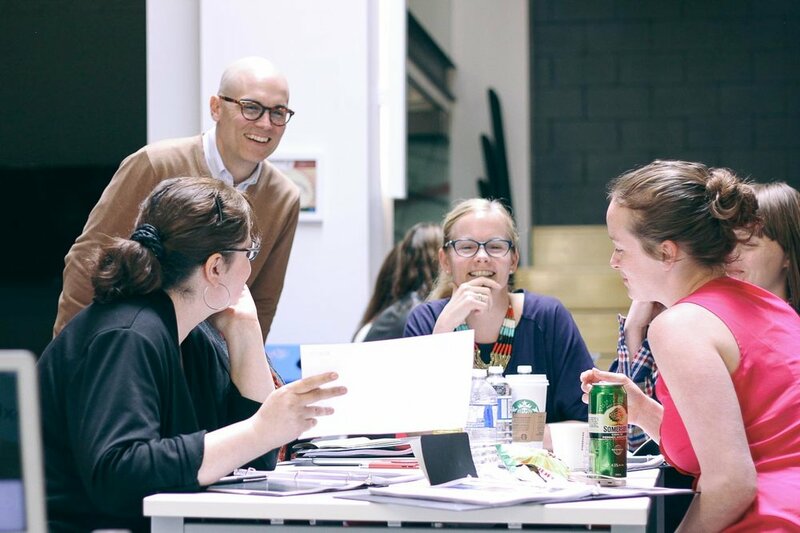 Past participants in Kickframe training include a broad mix of marketers from a variety of client-side, agency, start-up, and non-profit organizations. The class will be held in the Portland Room of The Spoke Club on King Street West. The total number of participants will be capped to a size that is small enough to get to know each other and large enough to collaborate within different groups. All participants will receive material prior to the class to prepare in advance, and a hard copy of all of the materials used throughout the class. The Spoke Club kitchen will provide breakfast, coffee, and refreshments throughout the morning. Everything is included in the cost of your ticket. The course is ideal for those looking to increase their overall level of knowledge and confidence in digital marketing. This includes people who have not had extensive exposure to digital marketing or have been out of the marketing field for a period of time. This also includes digital marketers who are starting out in their career or have been specializing on a specific area of digital. Past participants include a broad mix of marketers from a variety of client-side, agency, start-up, and non-profit organizations. The course is designed and delivered by Tim Dolan, a Certified Training Practitioner (CTP) and Certified Facilitator (IAF) with 20 years of international digital marketing experience. Tim is a past instructor for the Digital Marketing Certificate Program for the Canadian Marketing Association and has delivered customized training programs for organizations including Loblaw, McDonald’s Canada, Scotiabank, ATB, Sid Lee, Habitat for Humanity Canada, TIFF, and the Toronto Symphony Orchestra. Tim is the founder of Kickframe, and has provided a wide range of digital strategy services to clients such as BMW, Nike, Nintendo, Vodafone, Virgin, Electronic Arts, Best Buy, Rogers, and BMO. He is also a regular contributor to industry publications, a judge at digital award shows, and a speaker at digital marketing conferences. The Digital Marketing Strategy Bootcamp has been run 5 times in Toronto, and 98.8% of participants found that the content was interesting and relevant, and 98.8% found the instructor knowledgeable about the subject. All post-event surveys for Kickframe Training Events are posted online and unfiltered. The course is designed and delivered by Tim Dolan, a Certified Training Practitioner (CTP) and Certified Facilitator (IAF) with 18-years of international digital marketing experience. Tim is a past instructor for the Digital Marketing Certificate Program for the Canadian Marketing Association and has delivered customized training programs for organizations including Loblaw, McDonald’s Canada, Scotiabank, TIFF, and the Toronto Symphony Orchestra. Tim is the founder of Kickframe, and has provided a wide range of digital strategy services to clients such as BMW, Nike, Nintendo, Vodafone, Virgin, Electronic Arts, Best Buy, Rogers, and BMO. He is also a regular contributor to industry publications, a judge at digital award shows, and a speaker at digital marketing conferences. The Digital Marketing Strategy Bootcamp has been run 4 times in Toronto, and 98.8% of participants found that the content was interesting and relevant, and 98.8% found the instructor knowledgeable about the subject. All post-event surveys for Kickframe Training Events are posted online and unfiltered. This course is ideal for those looking to increase their overall level of knowledge and confidence in digital marketing. This includes people who have not had extensive exposure to digital marketing or have been out of the marketing field for a period of time. This may also include digital marketers who are starting out in their careers or have been specializing on a specific area of digital. Past participants include a broad mix of marketers from a variety of client-side, agency, start-up, and non-profit organizations. The course is designed and delivered by Tim Dolan, a Certified Training Practitioner (CTP) and Certified Facilitator (IAF) with 18-years of international digital marketing experience. Tim is an instructor for the Digital Marketing Certificate Program for the Canadian Marketing Association and has delivered customized training programs for organizations including Loblaw, OLG, TIFF, and the Toronto Symphony Orchestra. Tim is the founder of Kickframe, and has provided a wide range of digital strategy services to clients such as BMW, Nike, Nintendo, Vodafone, Virgin, Electronic Arts, Best Buy, Rogers, and BMO. He is also a regular contributor to industry publications, a judge at digital award shows, and a speaker at digital marketing conferences. 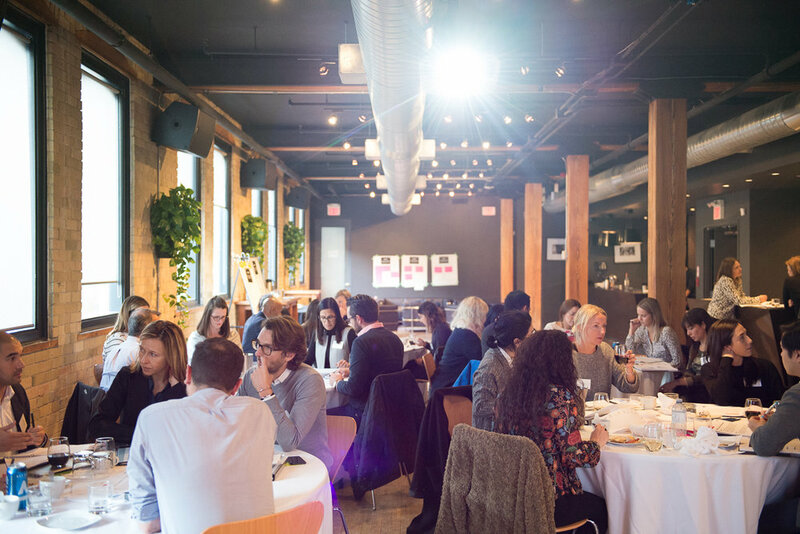 The Digital Marketing Strategy Bootcamp has been run three times in Toronto and 99% of participants reported in their post-event survey evaluation that they were satisfied and would recommend the session to others. All post-event surveys for Kickframe Training Events are posted online and unfiltered. The class will be held in a private space at the digital technology and entrepreneurship hub, BrightLane on King Street West. The total number of participants will be capped to a size that is small enough to get to know each other and large enough to collaborate within different groups. All participants will receive material prior to the class to prepare in advance, and a hard copy of all of the materials and exercises used throughout during the class. We will have a 'family-style' lunch at Pizza Libretto (next door), ample coffee and refreshments throughout the day, and cocktails during our end-of-day group activity. Everything is included in the cost of your ticket. This intensive one-day course is a great way to quickly boost your Digital Marketing Strategy IQ. It will provide you with an overview of the Canadian digital marketing landscape, an understanding of the primary tools in the digital marketer’s toolbox, and easy-to-use frameworks for developing strategies and plans for your organization. The course cuts through the clutter of confusing digital jargon and buzzwords, and focuses on the strategic principles of digital marketing. After taking this course, you will return to your organization with a stronger strategic grounding and greater level of confidence in digital marketing. The course is designed for marketers and covers a broad range of digital marketing concepts in a highly interactive manner. We will start with an overview of the state of digital marketing today, followed by a review of digital marketing tools and techniques. We will then introduce a set of frameworks that can be used to pull these digital tactics together into integrated and measurable marketing strategies and plans. To end the day, we will apply our learning by working together to solve a real-world digital marketing brief from a client visiting the class. The Digital Marketing Strategy Bootcamp was run twice in Toronto in 2016 and 98% of participants reported in their post-event survey evaluation that they were satisfied and would recommend the session to others. All post-event surveys for Kickframe Training Events are posted online and unfiltered here. The class will be held in a private space at the digital technology and entrepreneurship hub, BrightLane on King Street West. The total number of participants will be capped to a size that is small enough to get to know each other and large enough to collaborate within different groups. All participants will receive material prior to the class to prepare in advance, and a hard copy of all of the materials and exercises used throughout during the class. Lunch, coffee, and ample refreshments will be provided throughout the day. The course is designed and delivered by Tim Dolan, a Certified Training Practitioner (CTP) and Certified Facilitator (IAF) with 18-years of international digital marketing experience. Tim is an instructor for the Digital Marketing Certificate Program for the Canadian Marketing Association and has delivered customized training programs for organizations including Loblaw, OLG, TIFF and the Toronto Symphony Orchestra. Tim is the founder of Kickframe, and has provided a wide range of digital strategy services to clients such as BMW, Nike, Nintendo, Vodafone, Virgin, Electronic Arts, Best Buy, Rogers, and BMO. He is also a regular contributor to industry publications, a judge at digital award shows, and a speaker at digital marketing conferences. The course is designed and delivered by Tim Dolan, a Certified Training Practitioner (CTP) and Certified Facilitator (IAF) with 18-years of international digital marketing experience. Tim is an instructor for the Digital Marketing Certificate Program for the Canadian Marketing Association and has delivered customized training programs for organizations including Loblaw, OLG, and the TSO. Tim is the founder of Kickframe, and has provided a wide range of digital strategy services to clients such as BMW, Nike, Nintendo, Vodafone, Virgin, Electronic Arts, Best Buy, Rogers, and BMO. He is also a regular contributor to industry publications, a judge at digital award shows, and a speaker at digital marketing conferences.